DANVERS, Mass. -- Baseball can sometimes be a complex game. So when Lexington, a team enjoying its first Super Eight experience, was giving a veteran club like St. John's Prep all it could handle early, you began to wonder if at least for a season a changing of the guard was taking place. 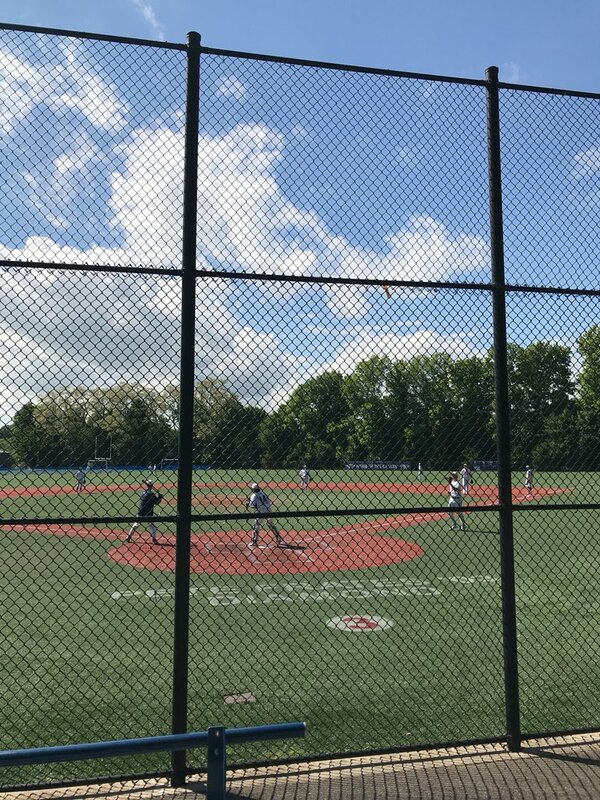 The Eagles, who have qualified for the Super Eight tournament in each of the last five years, may have thought the latter during the early stages of its opening round battle at Pete Frates Diamond. 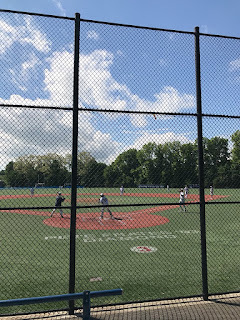 Such thinking, however, became short-lived as St. John's Prep scored a run in the sixth and three in the seventh en route to a 7-3 win over Lexington in the first round of the Division 1A Super Eight Tournament on Wednesday afternoon.. The third-seeded Eagles (17-5) move on to the winner's bracket where it will face No. 7 Franklin (18-5) on Saturday, beginning at 10 a.m. from Brockton's Campanelli Stadium. The Panthers upset No. 2 Wachusett Regional, 8-5, in their opening contest played Wednesday. As usually is the case during the postseason, the seasoned team found a way to win. SJP tallied for a single run in the sixth and added three more in the seventh to finally pull away from the pesky Minutemen. Lexington, a sixth-seed, drops to 16-7. It moves into Friday's one-loss bracket against Wachusett Regional at Campanelli Stadium with a start time of 4 p.m. The Eagles got a solid performance from starting pitcher Jake Sanderson (8 IP, 5 H, 2 ER, 5 H, 6 Ks). The right-hander's lone bad inning came in the fourth when he allowed a pair of runs. But after losing some of his command during the frame, Sanderson bounced back nicely, tossing four scoreless innings before exiting. "We were hoping Jake could go long for us today," said Eagles coach Dan Letarte. "We play next on Saturday but we really don't know when the next game will be after that. So we wanted him to go as long as he could because he already had his four days of rest. He did a great job. He battled and kept the ball down for the most part." SJP struck first, notching a run in its half of the second off of Minutemen starter Jack Pawloski courtesy of a RBI double from junior Will Potdevin. But Pawloski continued to give the Eagles fits early on by mixing up his pitches and to keep them off-balance. The Minutemen got to Sanderson to the fourth. A walk to Jesse Snyder was followed up by a well-executed hit and run off the bat of Max Stevens (3-for-4) putting runners at the corners with nobody out. A Mazdak Darvari chopper to third plated Snyder with the tying run. Later in the inning with the bases loaded, Sanderson then plunked Nick Plansky to put Lexington in front 2-1. But Sanderson was able to limit the damage, inducing Pawloski to bounce into an inning-ending fielder's choice. In the bottom of the fourth, the Prep responded. Mike Yarin led off with a single and a single by Jacob Bolger put runners at first and third. Max Freeman's ground out plated Yarin with the tying run. Pawloski retired the next two batters before Andrew Dembowski walked and Sean Lang grounded a run-scoring single into right that put the Eagles ahead to stay at 3-2. "This was a total team effort all the way around," Lang said. "We just weren't going to be denied. We played against some great competition today. Their lefty starter was painting the zone well and not walking many." In the sixth, the Prep gained some insurance. Potdevin reached on a fielder's choice and Dembowski walked. That set up Lang's second RBI single that brought home Potdevin with the Eagles' fourth run. Pawloski (5 2/3 IP, 7 hits, 1 K, 2 walks) was removed in favor of Graham Seed who fanned Josh Cerretani to close the inning. The Eagles, however, put the game out of reach in the seventh. A sacrifice fly off the bat of Bolger and a well executed double steal made it 6-2 Prep in the sixth. Two walks reloaded the bases, and a potential 6-2-3 double play led to an errant throw down the right field line that brought home Freedhman to put St. John's on top 7-2. "We were able to get some key steals and overall, the guys were running the bases well today," said Letarte. "We were just looking to put the ball in play with runners on. We also got some key hits with two outs which something we really haven't done this year. We've left a lot of guys on base this year so it was good to see some of those hits bleed through." The Minutemen refused to go quietly in their half of the ninth. Facing reliever Sean Letarte, they put the first two batters on. After Letarte set down Plansky, Pawloski lined a single off the glove of third baseman MacGregor for a run. Matt Relihan, however, came on in and slammed the door to seal the Eagles' win. "We had that one inning in the fourth where we had a lot of energy," Minutemen coach Zach Friedman. "Then they got it back in the bottom half and we were kind of dead those next three innings. You don't have time to do that against a talented team as them. We'll learn from this and we are still alive. We need to try and do somethings (on Thursday) and get ourselves ready for Friday."